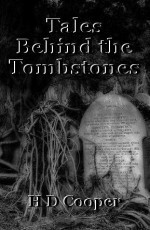 These are the first four paranormal horror stories of my book, Tales Behind the Tombstones. Bells, Batts and strange cats. First off you are a good writer. Kept me gripped and your choice of words and voice is great. Two things I want to point out. Firstly she was driving in the car, rain beating down on the headlights and a couple of paragraphs later she was getting in her car. As this was a dream you could have repeated deliberately to get the reader thinking? Also chapter two (not read it fully yet) isn't related to chapter one. 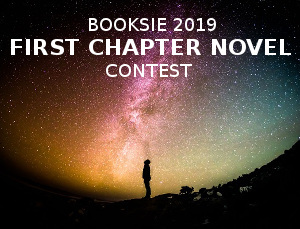 If every chapter is a new story then I would probably conclude the first with more than a scream as I'm finding it hard to wrap it up and conclude what actually happened. All that said, if this was a piece out of a full length novel then you hit the mark and kept me on the edge of my seat. Well written but maybe some pot holes to fill. I love what you've written so far. It's gripping and compelling. I can't wait to read more. Very well written. The ending was like a cliff hangar for the readers imagination to conclude the story. Very gripping. Your detail is very imaginary and brings the story to life. A truly remarkable peice. I am glad you enjoyed it. ???? hold on she hit a fence but theirs no house for miles. That has to be a pretty big ranch then. Now I love complex and wordy sentences like these in stories and you pull it off really well. I also fall in love with anything that mentions cars in any form of detail so my opinion may be skewed. I also don't see why she would connect the dream world to real one in any fashion outside the fact she was panicked but amazing story regardless . She was mourning the loss of her love - thinking he cheated - they had planned their lives together so it is kind of a flash back that is woven throughout her leaving the townhouse, getting in the car and driving with no real destination in mind. She was not panicked, she was heartbroken, confused, angry, betrayed. Thank you for the compliment. I love words, descriptions and painting a picture with them. Ok, that was pretty intense! Great read, grabbed me straight away! You're writing style suits my personal taste, and I felt empathy. Not convinced that a balanced person would yell too loudly about the dream to the authorities so soon though. However, saying that, I'm not an experienced short story writer myself, so don't fully understand the process or "rules". So just a half-criticism really. Great work! A truly horrific and downright brilliant short story that delivers on all levels, shocking the reader on an instinctual level and striking on a cerebral level truly haunting. The opening dream (or was it a dream?! haha) was nice and spooky. I like how Abigail seemed quite sensible and logical in this situation, despite her emotional state, following the stream to find the houses, being careful not to trip etc. - it made me want to root for her more! Firstly, this is a fantastic piece. I hate horror and thriller, yet this was written so well and at such a good level that I found myself enjoying the read from beginning to end. It is in part due to it being thriller/mystery rather than jump-scare and gore. The description of most scenes was very well done, telling a comprehensive story while setting the right tone and mood for the reader. The ‘transformation’ at the very end was particularly good. No problems found with regards to grammar, spelling, and plot. Well edited and proofread. I’m sending any critisisms and suggestions by private message. Any insights regarding the chapter title? Cats I get, but bells and batts I don't. It is quirky though, so I like it. Ok, first off, I want to say that you are an amazing writer and seem to have a talent for really keeping your readers on edge. BUT, there are a few grammatical errors and I feel a little bit like this is exactly the same as every other horror novel I have read. Other than that, keep it up!! Thank you for the invite. I'm usually not a fan of horror; there's always some gory element tossed in the story. This was a pleasant read. I liked how descriptive you were in describing each scene. I've driven to the countryside and I'm very familiar with those fences that line the roads for miles. My only critique, even though it was a dream, realistically, she wouldn't have simply walked away from a crash that wrecked her car without any bruises or injuries to some parts of her body. Perhaps if she even felt a bit wheezy when she stepped out of the car, it would have been a bit more realistic. You have an excellent knack for words. Great job. You have definate, distinct, & well-defined purpose in your presentation of the facts! Having read all of the prior comments, & analyzing their merits as well as their factual reality, I believe that my feelings are most well summed up by "AJLKS", since his words practically express my feelings! Never having been a fan of the genre, yet your adeptness with words, & your verbal descriptions had us as readers emotionally tied into your tale from the start! Execution at it's finest of your trade as an author! Alright I'm done with 1st chapter. First and foremost. I'm gonna be a little bit of bias here since I love stories that are themed under Mystery and Horror. Alright now that's out of the way I'm gonna say this story is well written. I love the Fear vibe you give to the environment. Despite the main protagonist is decent she's fitting as a role. Also I notice some of your choice of word were complicated yet can be simplified. I honestly have been there also I also sometimes struggle with grammar. Setting aside those it was a great Chapter I love the cliff hanger ending makes you want to read more and that's what I call a good hook to the chapter. Also I truly appreciate writers who can go deep with their imaginations that were put into words. I see a lot of good comments which means people see great potential in your work. Creepy! I liked the reference to the "Waverly Hills Sanitarium." I'm looking forward to reading the next part. So after a long break away from here. I've come back to a request you left ages ago. I've read this as a priority and I'm glad I did. Your writing style is gripping and you put all of the right details in to invisage the characters and scenes. I'm looking forward to reading more of your works for sure. I was really excited to read this. The horror stories are so frightening! Enjoyed it, and have a few questions unanswered. Looking to read more soon. Hey there. You had posted a reading request on my profile page, oh god, I don't know months, maybe a year ago-- anyway, I just started coming back to booksie in the last couple of days and I saw your request so i decided to check it out. I really like your writing style. I love your descriptions, though I think a few of them could be shortened a little bit. Also, and this is me nitpicking, but I did not like your use of the word spooky when describing the house, it felt kind of out of place with the flow of everything. The other part that stood out to me was you describe the cave very shortly after you describe the house and you reused the word 'centuries' and to me it felt a little repetitive-- but like I said, that's me nitpicking to give you any sort of criticism I can. I did really enjoy it. It read very well from beginning to end and the pace was perfect to, you didn't linger in any one area for the reader to become bored, it was perfect. Anyway, thanks for bringing to my attention so long ago, I'm glad i finally read it and enjoyed it. Take care & have a great day. I write this as I read through this chapter. First of all, I love the beginning message. A mysterious beginning is what a horror story needs. I am just picked. And I think I will have to read until I find out theta this blood debt is for. Broken from a relationship and crashed in a place where no man wants to be lost, no signal, low battery, a desert of unknown to be sure. Good sight! An upside down cross is too quick a sign for terror, don’t you think so? Anyway, no judges yet. I need to read it to the very point. I only hope she’s not having an out of body experience, like she’s still in the car, or maybe dead. (Hate those kinda stories xD ). So that animal was a means to drive her into the cave? It makes a little confusion here: the creepy house, the upside down cross, the mysterious shadow that passed on in the dark, the deep wound; all some means to keep the questions persistently up in mind. Not that’s it’s a bad confusion. I really like the way you drag your character and the reader into the horrific mystery of unknown. (Unknown is the greatest source of fear, so I hope I don’t get to find out what everything is about just ahead). That scene where she is recollected in her bed and then noticed the terrifying changes in the pipes, the bloody water and curious stone of some evil sort of might, maybe, made me recall the movie Room 1408. Dean’s inhuman turn of head to Abi was a shuddering moment. I’m in the very middle of this and I have to say that I love it. Managing a scene after action is not really my thing, I’m saying it’s not easy. Good job on the investigation. Good descriptions of Abi’s state of confusion. Now these are the questions, not to be answered of course: is Ani haunted? Cursed? Is there someone who is wishing bad upon her? If she’s cursed, is that the same thing the killed her entire family seemingly in accidents? For certain she’s poor. I hope this evil that is destroying her world has some good reasons. I think you may be right about the cross - I have been mulling that part over for a while now and might change it. I am glad that I could pull you into the story, it's my biggest aim as a writer, that and to make the reader empathise/hate/love the characters. I have been working on honing my descriptive language - for instance, I found out recently I used way too many passive verbs - as you might tell if you read the other work that I have not edited yet. Hey, I read your request on my page, and I checked this story as soon as it's possible. First of all, I liked any stories with psychiatric setting—well written, or simple written. By the way, I think that it's well written. A good choice of words, sentences. I am serious. I don't see any redundant things. But I want to ask some questions: what's the time of this story? Is it modern? Judging by the cellar phones, I think yes. I don't know, how is it in the modern US... but straitjackets are not used in the USSR and in modern Russia (they canceled it from the 70s). The next question, I didn't understand, Abigail is it her name, or her surname? If they appealed to her: “Miss Abigail”, it had to be the surname. So, she had to be “Something Abigail”. Thanks so much for reading. I am glad you enjoyed it. Also, Abigail is her first name. In Australia, Britan and the US people are often referred to as Miss or Mr and their first name as a sort of term of endearment I guess?